Phoenix Well Services is a wireline company that specializes in perforating oil and gas wells. Phoenix is active in the heart of the Marcellus, North America’s largest natural gas field, with other offices in Pennsylvania and Ohio. We expect Phoenix to expend both with complementary services offering and by acquiring select companies in other regions. Producteev is a productivity platform for teams. Task and Project Management, File Sharing, Internal Communication and Productivity Apps Aggregation built on top of the tools we all rely on every day: IM (Gtalk, WLM, AIM), Twitter, Email, Mobile (iPhone, Blackberry, Android, Windows Mobile, Nokia), Desktop and Web. Palm Ventures was a founding investor. Sequest Technologies, based in Lisle, IL, is a leading provider of electronic medical record and workflow technology to the health and human services industry. The company provides software and solutions to psychiatric, behavioral health, substance abuse, and long term care hospitals, clinics, and social agencies. FIRE Solutions, Inc., for over a decade, has provided compliance and training solutions to over 300,000 professionals at more than 250 firms. With over 1,500 hours of copyrighted material and world-class, proprietary technology systems, FIRE is the leading compliance and education provider to the Financial Services community. Incorporated in 1999, FIRE has consistently led the market by recognizing and introducing solutions ahead of its competitors. IEC is the parent company of UEI College, United Education Institute, Florida Career College and U.S. Colleges. Campuses are located in California, Georgia, Texas, Arizona, and Florida. IEC is dedicated to impacting personal, generational and community transformation through preparing students to make positive, enduring changes in their lives. At International Education Corporation, we believe that training and education are powerful tools that can help students build a foundation for a successful career. Since 1982, we’ve prepared our students to graduate with the knowledge and skills they need to pursue opportunities in many of today's most promising career fields. As a premier national provider of post-secondary career education, IEC offers top-quality programs in high-demand verticals such as healthcare, business, technology, trades, and criminal justice. Heald College is a private career college that has been preparing students for rewarding careers in Healthcare, Business, Legal and Technology for more than 150 years. Our education philosophy is simple: we succeed when our students succeed. Our education philosophy is to provide our students with the resources necessary to become well-rounded, highly motivated, qualified candidates for their career. Our faculty consists of people who know what it means to be in the work force. At Heald, we hire instructors who have both academic and real-world experience. They teach practical, relevant skills that students will actually be able to use throughout their careers. The American Education Center (AEC) was founded in 1999, and primarily provides education consultancy to international students and beyond. AEC offers a comprehensive solution in which students from all over the world can find superior services suitable to their needs. Clearwater Farm Apartments is a charming, peaceful community located right off of Fern Valley Road in Louisville. With easy access to Interstate 65, your commute anywhere in the area is quick and convenient. We are central to the many shopping, dining, and entertainment options that the area has to offer, including Jefferson Mall. Clearwater Farm Apartments is also located near several of the top employers and schools in the area, including General Electric, Ford, UPS, Louisville International Airport, and University of Louisville. The Bristol Apartments are situated just 20 minutes south of Downtown Indianapolis in the community of Camby. The Bristol offers a beautiful, park-like setting with lakes, fountains, and lush landscaping. Our luxury apartments feature vaulted ceilings, a private patio or balcony, oversized closets, and gourmet kitchens. You’ll love coming home to your Bristol apartment, where you can relax by the swimming pool, work out in the fitness center, and enjoy the on-site tanning salon. Our one-, two-, and three-bedroom apartments are pet-friendly so you can find the ideal space for yourself, your family, and your pet. 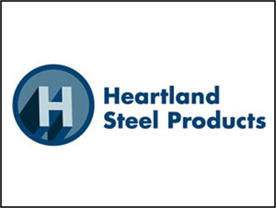 Heartland Steel Products, LLC owns and operates three manufacturing facilities in Michigan and California – conveniently located to service most of North America. We offer a wide variety of steel manufactured rack products and services through both direct sales and distributor channels.